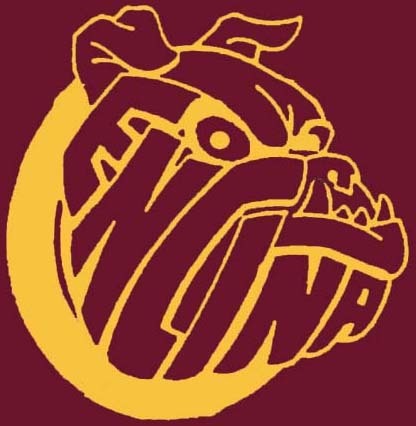 ENCINA APACHES err... BULLDOGS - VS - RIVER CITY ??? Tailgate Party Begins at 5:30pm @ the PALOMINO ROOM, 3405 El Camino Ave.
Those interested in seeing the game, watching the queen get crowned, can go to the game and if there are some of us who would rather remain at the Tailgate can do so. The Post Party Back to the Palomino Room, of course. We had cocktails and dinner at the Palomino Room. We then went to El Camino High to watch the game. The stands were less than half full for the Homecoming Game! Larry Fahn and I donned our LETTER JACKETS and were given the proper respect at the gate but alas, no discount. Next year I will be bringing my ENCINA ID CARD from my freshman year and hope for any discount other than a senior discount. FLASH - Eric Dahlin was taking tickets at the gate! Well worth the price of admission to see Eric again. We arrived in the first quarter of the varsity game and it was already 14-0 in favor of the River City Raiders. The place looked EXACTLY the same as it did in the 70s. Michele noted that the class of 88 was the last year of the Apaches. Larry Fahn remembered his days in the announcers booth and gave us a brief play by play for old times sake. I recalled some of the epic battles we had forged on the field in '73 to an 0-9-1 record (we tied Del Campo in our homecoming game). The home team was getting pounded pretty hard by half time and with a bench that consisted of five guys, the Bulldogs could not afford an injury to a key player. We were interviewed by a teacher who was taping for Encina TV. We may be played to the masses as either role models or what not to be when you grow up. We hope the former but lean towards the latter. Our being there seemed to bring a real sense of homecoming to those stoic parents and students in the stands...... which was good since there was no marching band, drill team, or songleaders (the mascot did have a pretty good bulldog costume) to get the crowd going. They did have cheerleaders who really had their work cut out for them. The queen and king of homecoming were crowned at the half. A student did a great aca pella version of the Encina Alma Matter (I think, Larry Fahn, being '72 class president, knew the majority of the words) . I guess they did not have the funds to have a band or a tape of the song. Her version was quite good and brought a little mist to the eyes. Third quarter - I THREATENED TO SUIT UP if things didn't improve but the Raiders were unstoppable. By the middle of the fourth quarter we were losing 42 - 0 and the alums had seen enough. The handwriting was etched on the side of Dahlin's ceramics room fence. We all adjourned to our cars with a hint of a tear in our eye and vowed that next year our numbers would increase ten fold filling the stands with grads from all classes. If you want the sensation of teleportation to your high school days, sit in the stands @ El Camino. I highly recommend the experience. We had a lot of fun. Make plans to be there next year as we are making this an annual event. There were three additional alumni in the stands. Two were working the snack bar up until the varsity game: Ann Young '98, Tori Stafford '98, and Eliza Young '98 who came after work. Thanks to all those alumni who did come! Normally the stands are almost bare! It is embarrassing as a parent of a current student, when alumni usually outnumber the parents or current student population! The elected King was Julio Morillo, Queen was Tselotey "Viva" Asmelash. I don't remember any of the princesses because I was rushing around getting flowers to the senior football players to present to their mothers. Although, the game was a slaughter, and the junior float wasn't in the parade because of vandals, the half time parade went well. The senior class won the float contest, as it should be! There were about six live bulldogs representing our mascot at the beginning of the parade. Last year King and Queen were present to pass the wand and crown. The band program has been been on hold for the last two years. A good number of teams have no idea how to play defense this high school football season. Get a load of all the clubs that surrender 50 points seemingly by the week. Has the area ever seen so many 60-point outbursts, so many 300-yard rushers and so many beleaguered defensive coordinators who stagger home on game nights as if they went a full 12 heavyweight rounds? But in El Dorado Hills, Oak Ridge players get downright grumpy when the team allows more than five first downs -- in a game. A 100-yard rusher? It's reason enough for the linebackers to rip the sinks right out of the walls and skip the homecoming dance. So far, the basins are in good order; not one runner has come close to the 100-yard plateau. Eight weeks in, and No. 5 Oak Ridge has allowed all of 38 points, the fewest of any team in the Sac-Joaquin Section. Ten area teams allowed more than that on Friday alone, including No. 3 Grant, a program known for its defense in recent years until this month. This is how personal Oak Ridge takes scoring: No opponent has even been able to convert an extra point. All three attempts were blocked. "We're having one of those years where we're just playing great defense," Oak Ridge coach Mark Watson said. Friday's Sierra Valley Conference contest against Galt was reduced to a Trojans defensive-highlight show yet again. The championship hung in the balance only through the national anthem, after which the Trojans put on the clamps and coasted 35-0. Oak Ridge broke down blocking schemes in a heartbeat and held Warriors runners and receivers to minimal gains. With its second SVC title in three years all but sealed, Oak Ridge looms as one of the section favorites in the Division II race with West of Tracy, Roseville, Placer and Vanden, among others. "They have an excellent defense, an amazing, experienced and quick group that plays so well together," Galt coach Tom Veatch said. "I mean, we've got a good team and we tried everything on them and we couldn't move. We average 365 yards of offense, and they held us to below 80. Our backs had about a half-step to go, and they ate us up alive. They're a buzz saw." The defensive front is mobile and muscle-bound with Mark Matus, Mike O'Banks and Garrett Adler. The linebacking corps, among the best anywhere, consists of leading tackler Scott McMahon, Dom Bosch, Brendan Mallery and Tyler Ecker. The secondary is Brandon Belland, Mark Kansier, Austin Lackey, Jordan Barnes and Nate Magin, whose older brother Joe owns the school single-season rushing mark of 1,799 yards set in '96. The defensive coordinator, Jack Harnden, is a veteran of the area coaching ranks. Harden was the first coach at Oak Ridge in 1982 and now is perfectly content ruining opposing offenses as an assistant. Interestingly, Watson found out about the head-coaching position at Oak Ridge through his father-in-law, Ray Warner, who went to a Rotary Club meeting in 1989. Harnden was the guest speaker, and Warner struck up a conversation, found out about the opening and called Watson, an assistant coach at Long Beach State. Watson has had a handful of playoff teams, won his 100th career game earlier this season and could be on the cusp of his finest squad ever. His staff is sprinkled with Oak Ridge alumni, including Casey Taylor, Aaron and Brian Marlette and Chris Jones. "I've always liked the high school game, and I was looking forward to a return to this level," Watson said. "Maybe it's fate that I got this job. I've enjoyed it. I like the freshness of the teenagers, the purity of this level. And we've been blessed with some great players." In a strange twist, we could be looking at McClatchy vs. Woodland two weeks in a row. The teams face off in the regular-season finale at Hughes Stadium, a nonleague game to fill out the schedule. They could also meet the following week in the first round of the Division I playoffs, a first since the postseason tournament started in 1976. "That would be pretty bizarre," McClatchy coach Rob Feickert said. "I mean, what do you do? Cancel that last game? Try to beat them and expose all of your offensive secrets? Play second-string guys to hide what you do and get smashed? This could be weird." The records continue to fall in Colfax. Alec Greco recently caught his 100th career pass. Friday, Scott Kelley scored on a school-record, 96-yard run in a 55-6 rout of Marysville. Justin Rawlins' next score will put him in the record books with 25 career touchdowns, matching Tim Norris from the late '60s. And there's River City. The Raiders play host to Colfax on Friday seeking their first Golden Empire League title this decade. 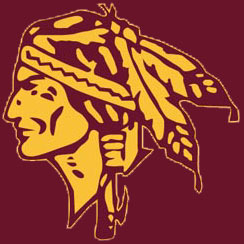 Few teams sport the 1-2 offensive punch of River City with tailback Malfred Shaw, quarterback Brady Tacdol and receiver Malcolm Floyd, who combined for five touchdowns Friday in a 52-0 romp over Encina that improved the Raiders' GEL mark to 5-0.